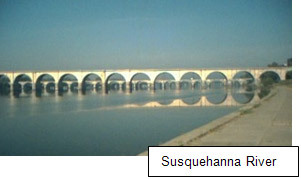 Setu can mean a causeway, dam, or bridge, when combined with bandha it means the forming of a bridge. This is an advanced posture—you should not try it alone but with a teacher you trust. Other than upward facing dog, this is the only backbending posture in primary series. From downward facing dog hop through and lie down on your back in Supta Samasthiti. Bring your heels together, bend your knees a little (just move your heels a few inches toward your hips—this distance will vary between individuals, be careful not to place your feet too close to your hips as this will put too much weight on your head in the full posture), rotate your thighs and feet open placing the outer edges of your feet on the floor. I have called this “Charlie Chaplin feet”..
Keeping your hips grounded press your elbows to the floor, lift up your chest arching your back and slide your head toward your hips, placing the crown of your head on the floor (see pic of Bobbi). If you have neck issues or are unsure of the posture you can stay in this position with either your elbows on the floor or your hands extended out at a 45° angle for support, or eventually crossed over your chest (see pictures of Ivy). Drishti is toward the nose. Hold for up to 5 breaths. If performed correctly Setu Bandhasana realigns your neck. To exit the posture, place your hands by your ears, fingers pointing toward your heels to help support the neck and roll down. It is important to both roll up in to the posture and down (with support) to get the benefit of the rolling motion on the neck. Take Chakrasana (the backward roll) to counterbalance the neck into a vinyasa. This pose strengthens the back muscles and neck, correcting neck alignments. The throat is opened, stretching and cleansing the esophagus and the chest expanded increasing the capacity of the lungs. Due to the stimulation of our third chakra our digestive fire is increased by this asana. This is the end of Primary Series! Whoo-hoo! You are now ready to begin the closing series.